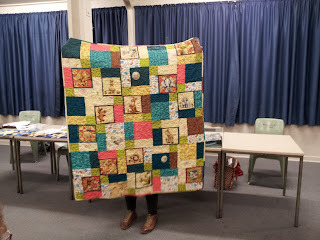 Sorry there was no post for July but I did not attend the meeting. 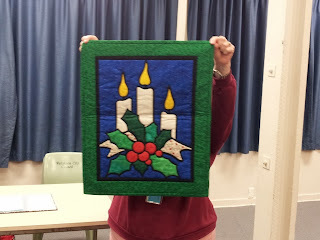 The Communities Challenge this month was reverse applique. 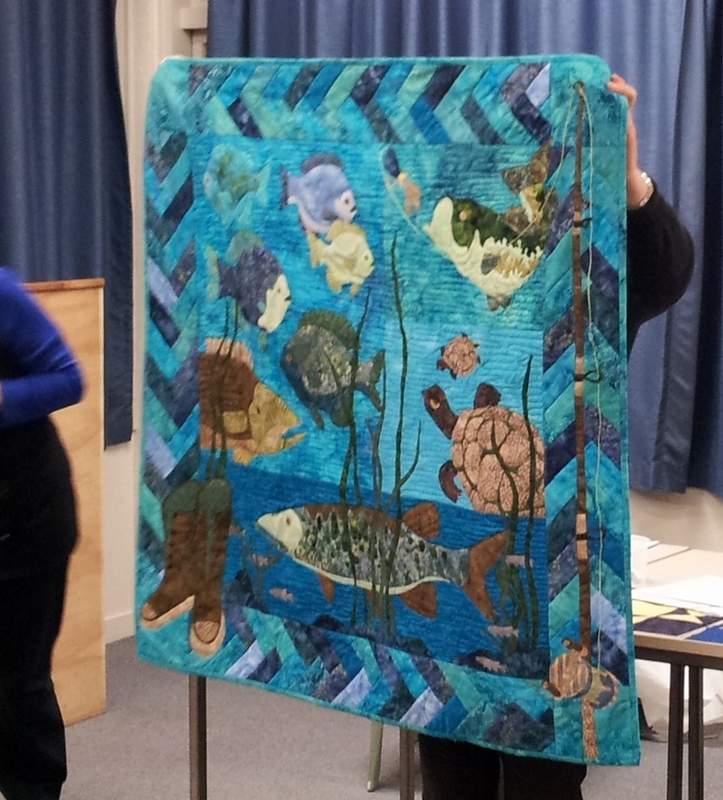 A beautiful under sea quilt. Sorry I can't remember who this is. Sorry my memory is not as good as it used to be. 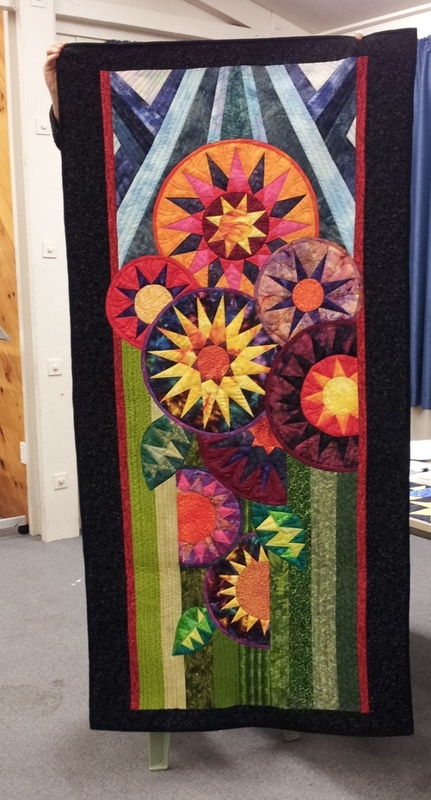 Don't remember this one either. 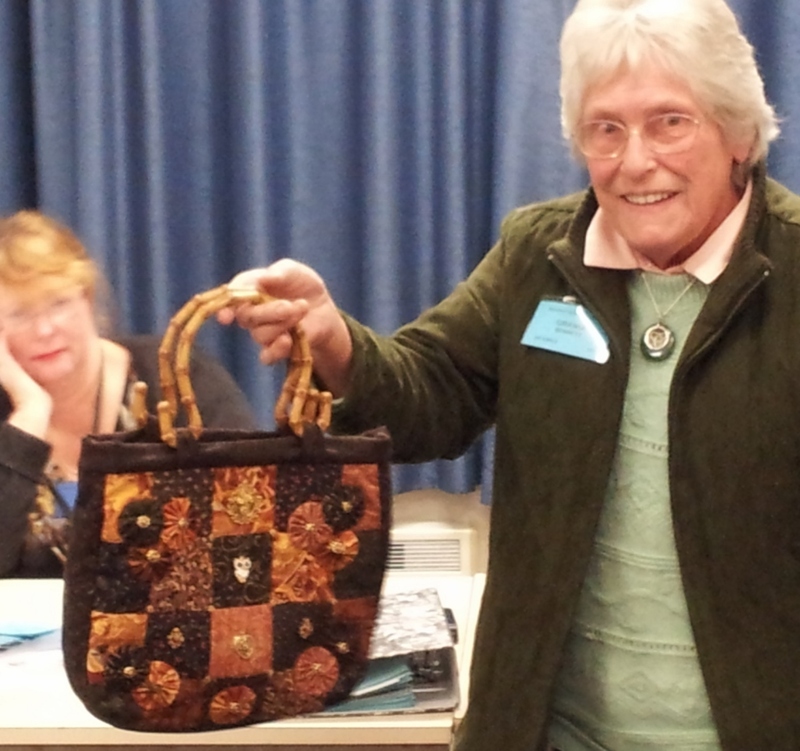 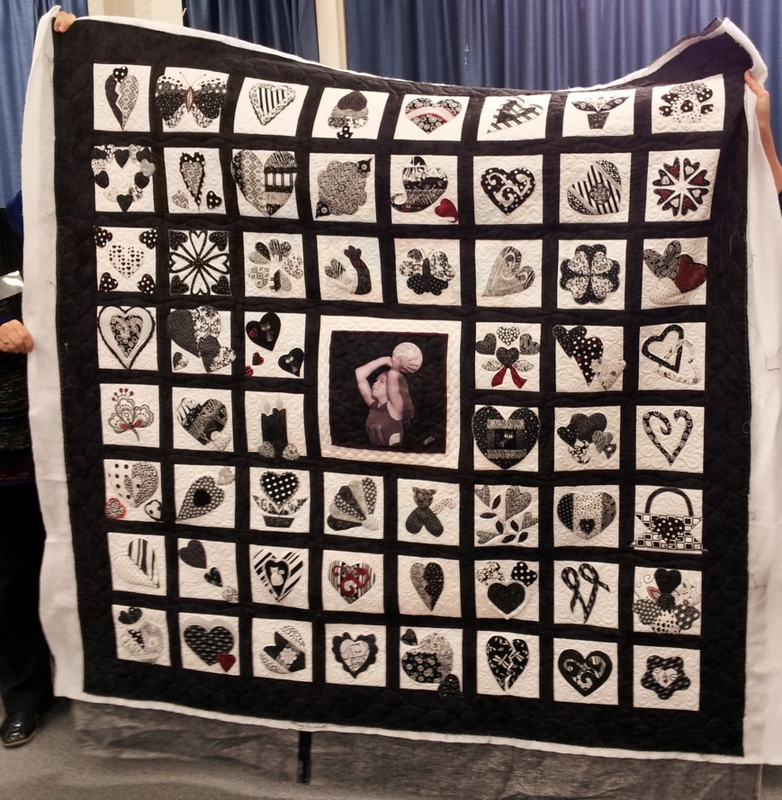 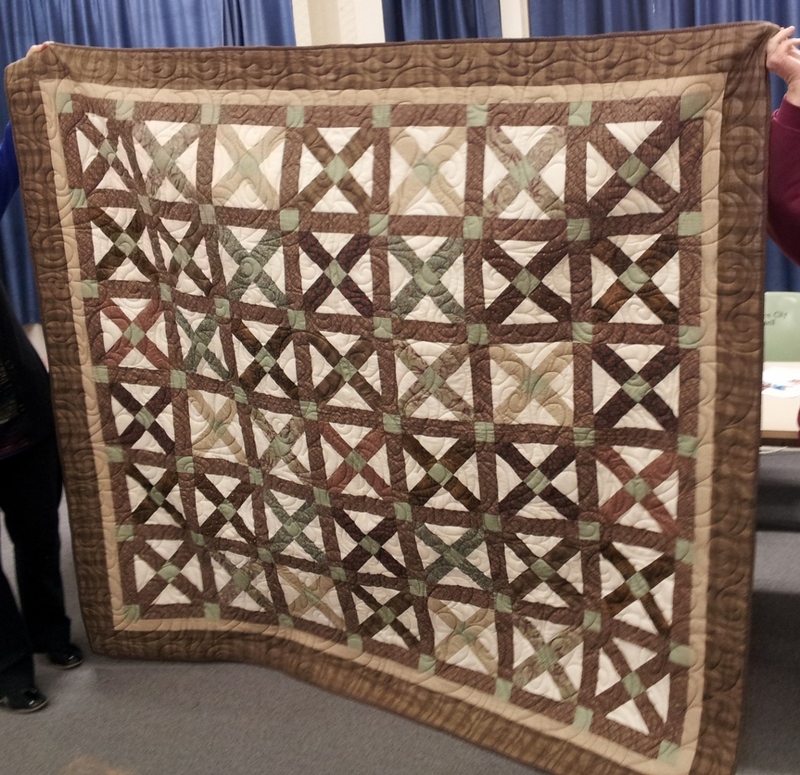 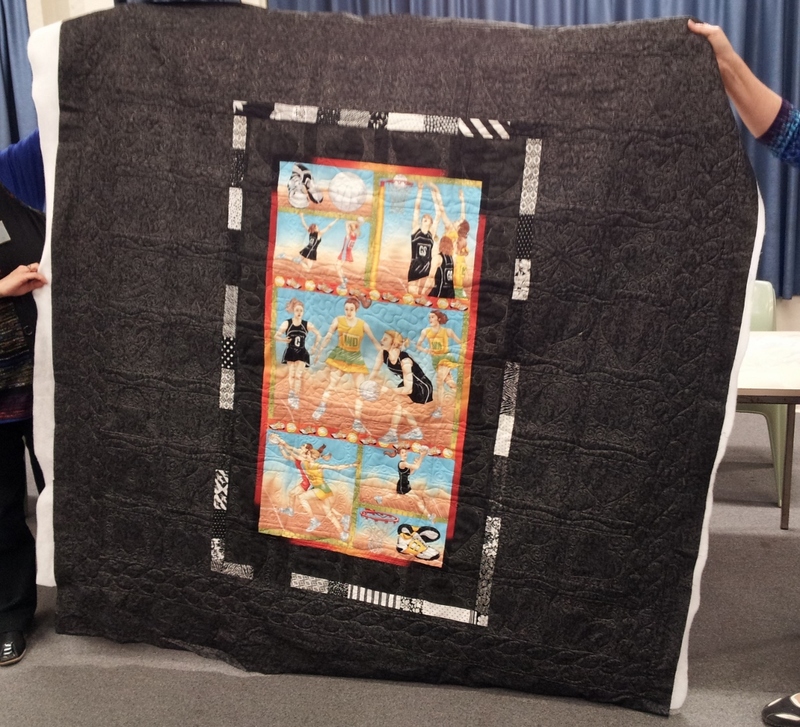 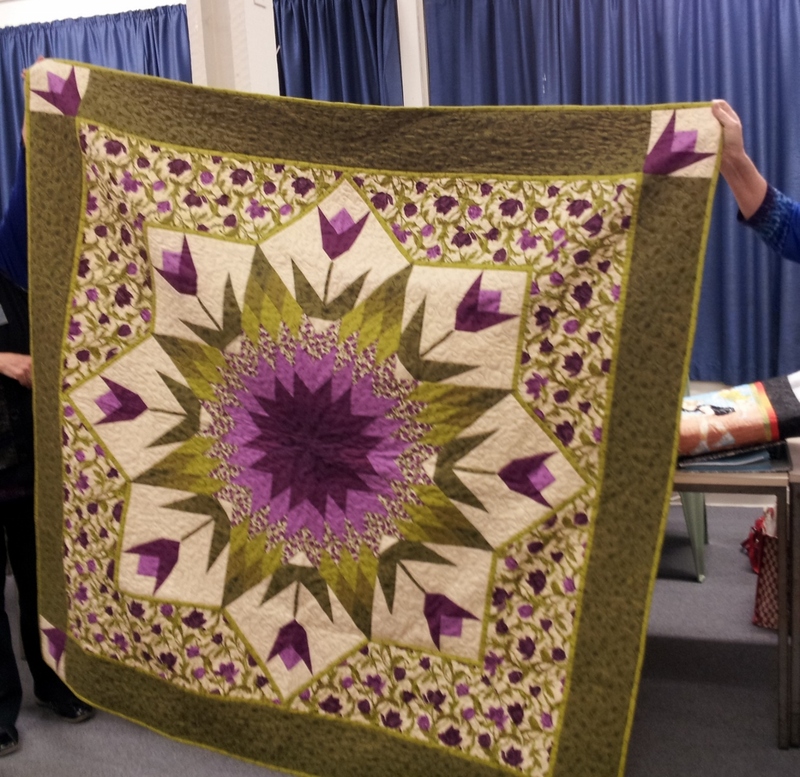 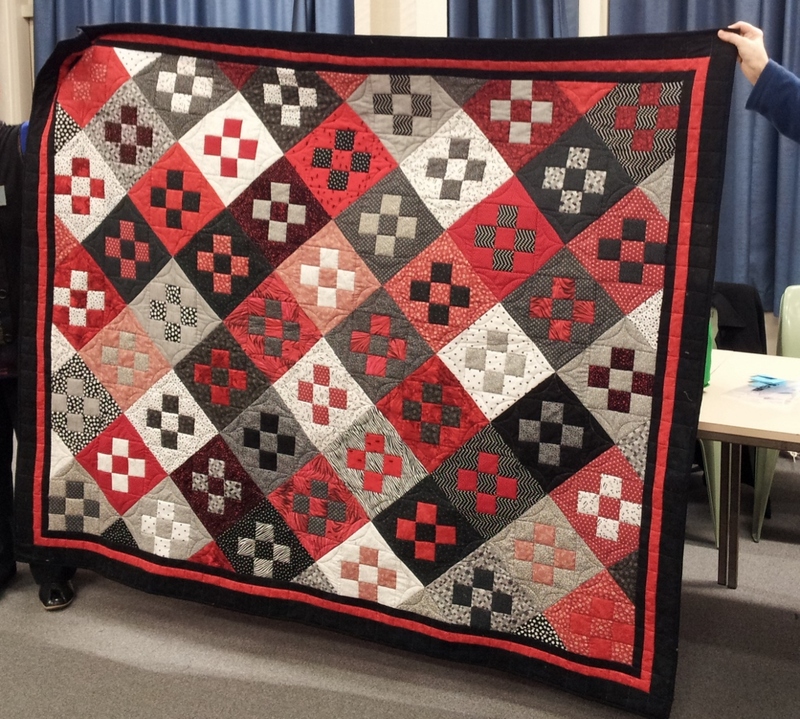 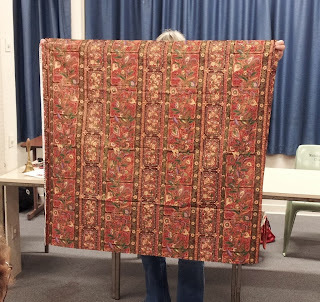 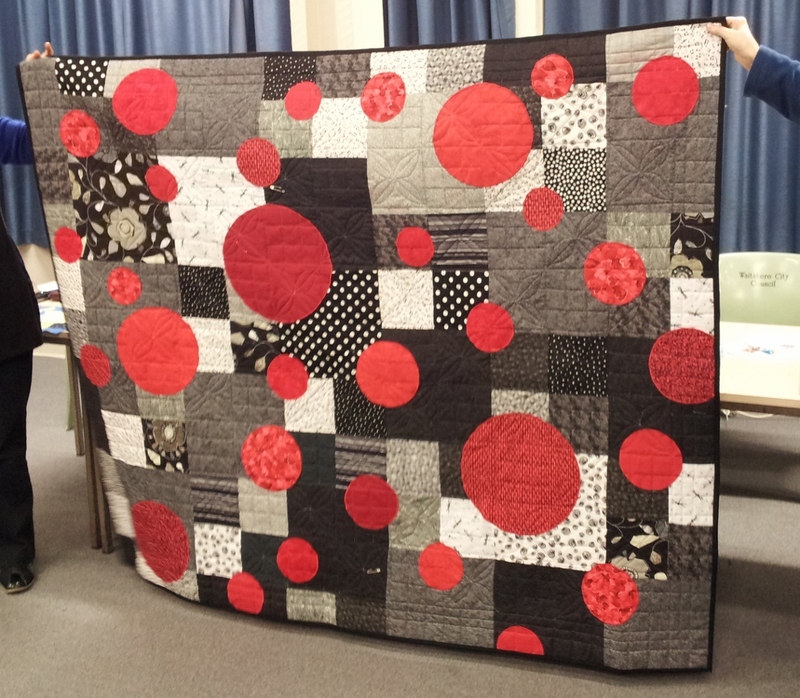 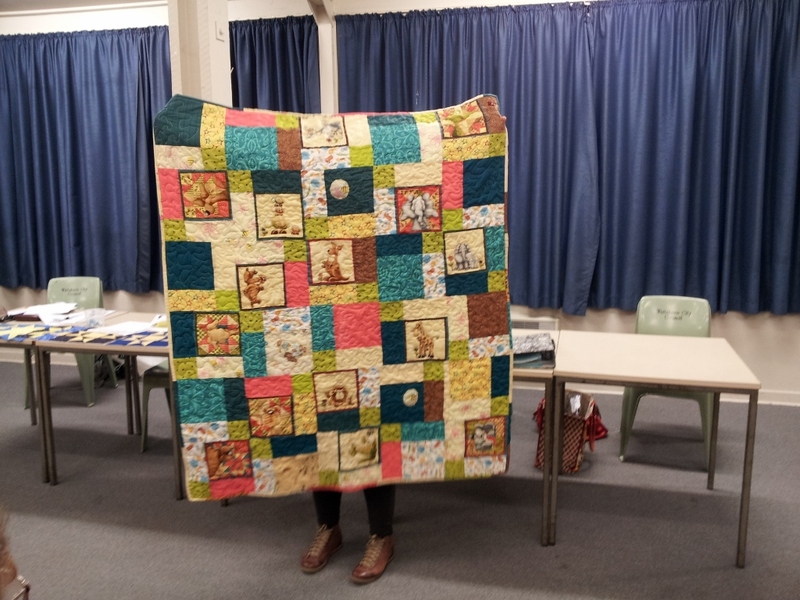 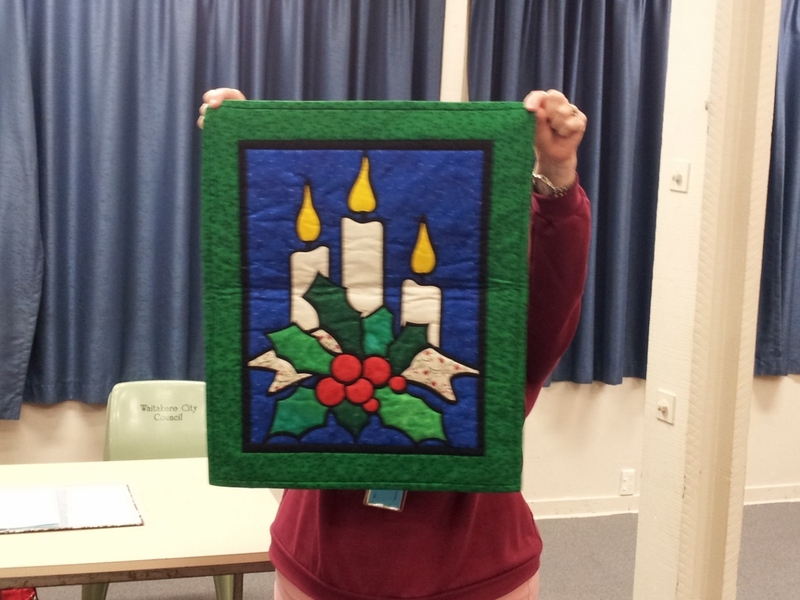 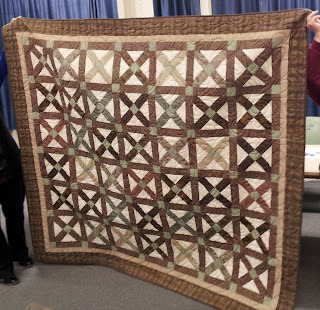 Maureen made this lovely quilt in a workshop at Village Green Quilters. 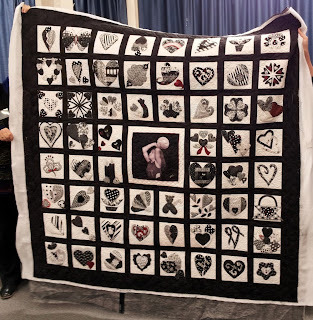 The front of a quilt for Maureen's grand daughter. 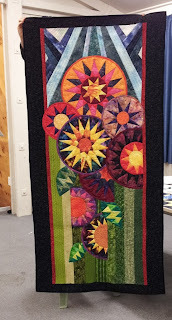 the front which she did in a class earlier this year. Pat has been busy again this month. 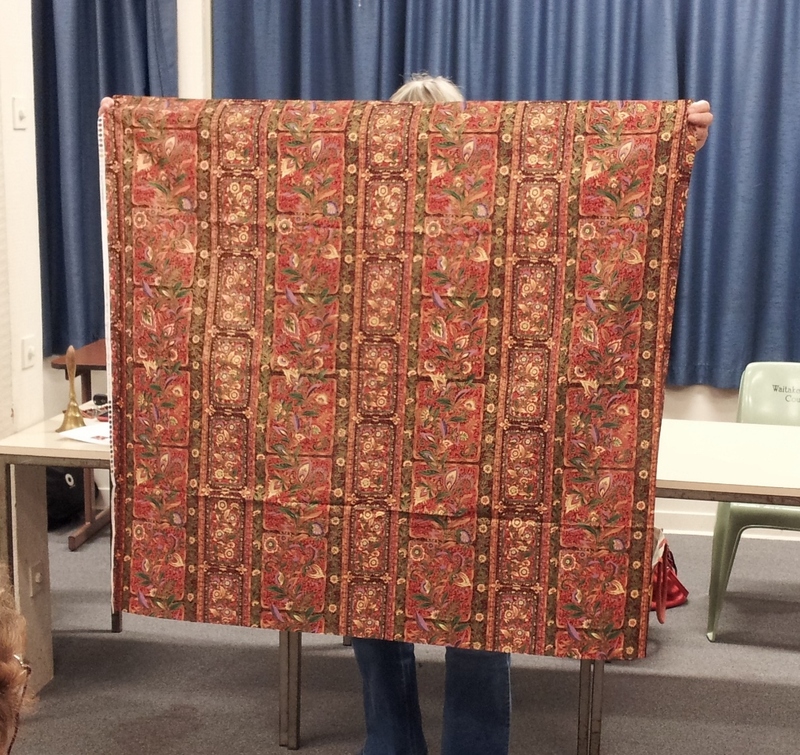 Julie showed this for Craig who was too shy to stand up himself.